This was my first opportunity to put some points in the bag after the Tunstall incident “The wrong way”. 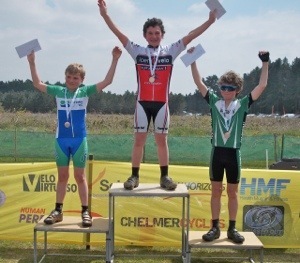 With my road commitments riding the Nationals the weekend of Codham I was looking forward Thetford and had been working on MTB training at the Club and was in fairly good shape, thank you Tony and the Guys at LVYCC coaching team. Because of my poor result at Tunstall and missing a race I was called to the grid fairly late I managed to pick a spot next to my buddy William Davies. We were both one row back. This course was around one and half miles long and plenty of open space to pass riders. We were off, quite a messy start as William and I could get a clean line to the first bend, we were 5th and 6th position into the bend. I managed to pick off all of the riders to hit the front for the 1st lap along with Josun Cole. 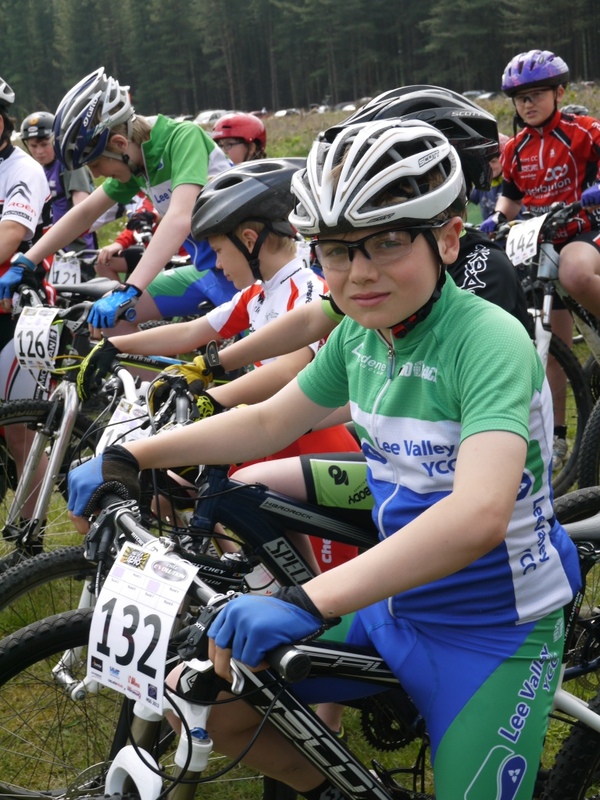 We had a very slight lead on my LVYCC team mate Felix Mackie on lap one and William around 10 seconds back. By lap two Felix had made ground and was in the hunt for positions. As field spread out passing was made difficult and our lap times slowed down. Sadly Felix punctured on lap three and it was left to Josun and me to battle it out for 1st and 2nd place with us being equal on time on lap 3. Both pushing hard disaster struck for me, a younger racer crashed in front of me this took me off the course and I crashed losing any chance of taking a the win. As always the event is really well run and thanks to the team at Mud Sweat and Gears and Timber for making such a great course.